London, February 10, 2017 (SPS) - Western Sahara Resource Watch (WSRW) said that the end of salt export from the occupied Western Sahara to Denmark was "an important victory" for the Sahrawi people. 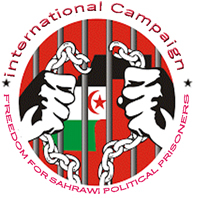 "This is an important victory for the people of Western Sahara. It means that the occupation of the colony becomes a little less profitable," said WSRW following the decision of the Danish company Dansk Vejsalt to stop all its activities in the occupied Western Sahara as from 31 January. Dansk Vejsalt said that it would comply with the ruling of the Court of Justice of the European Union on the EU-Morocco free trade deal and would no longer get involved in illegal activities or the plundering of the natural resources of Western Sahara. On 21 December 2016, a ruling of the EU Court of Justice concluded that the association and free trade agreements between the EU and Morocco do not apply to Western Sahara, as it is a distinct and separate territory, in accordance with the United Nations Charter. WSRW said that the Dansk Vejsalt's decision is also a victory for the Danish non-governmental organization, Afrika Kontakt, which fights against colonialism. Afrika Kontakt have continuously exerted pressure on the Danish company and its customers in Denmark supporting the position of Frente POLISARIO, the only legitimate representative of Sahrawi people, who "have never okayed the salt mining and selling of salt in Western Sahara," said WSRW.